The Arriva is located in historic Victoria Park, across from the Stampede Grounds. 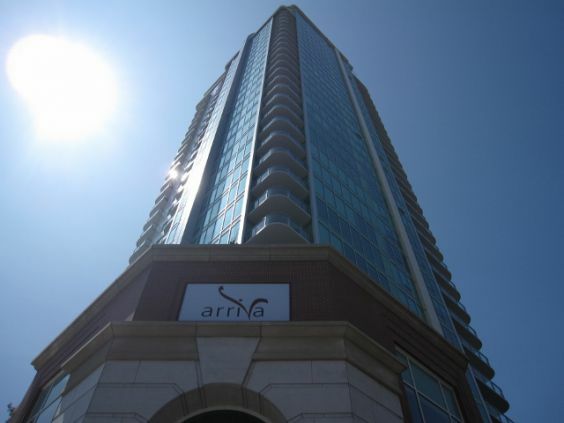 This glass and steel skyscraper features brick and sandstone finish at the base to reflect the architectonic style of the surrounding historic buildings, and currently stands as the tallest condominium in Calgary. 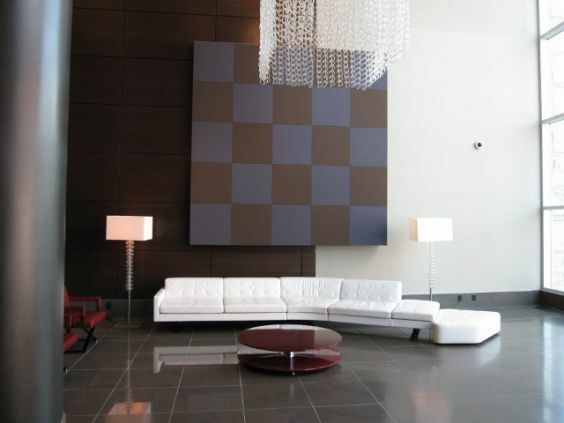 This notable landmark in the city of Calgary was developed with the executive in mind: with an expansive lobby featuring an impressive chandelier, touch screen elevators, fob-to-floor security and high-end décor. The main level of the building includes two restaurants, a dental office, medical clinic, spa and more. 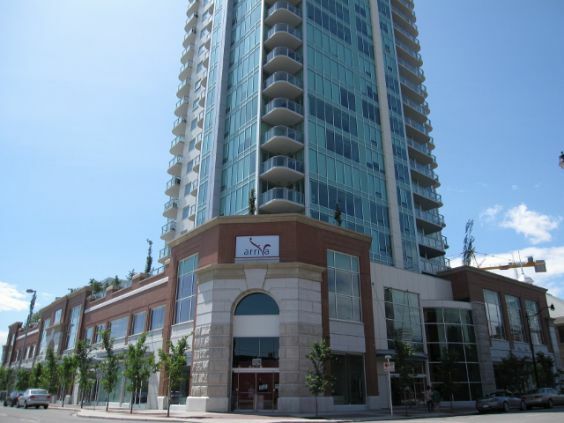 The LRT station which is free to ride in the downtown core is only a 9-minute walk from the condo. Within walking distance you have convenience stores, restaurants, shopping and so much more. Walk to the popular Stephen Avenue in 14 minutes or Calgary's Uptown 17th Avenue in 17 minutes.